At TerryTown RV, you'll have a dedicated team of RV experts helping you find the perfect RV for you! 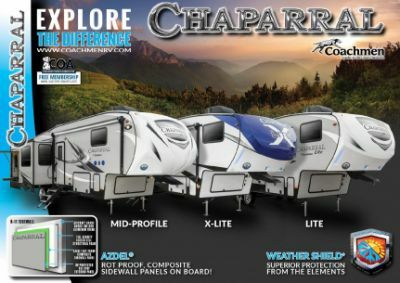 Your family will love going on outdoor adventures with the 2019 Coachmen Chaparral 336TSIK! Find this 5th Wheel and other quality models at 7145 Division Ave S Grand Rapids Michigan 49548! For more information on this RV, call us at 616-455-5590! 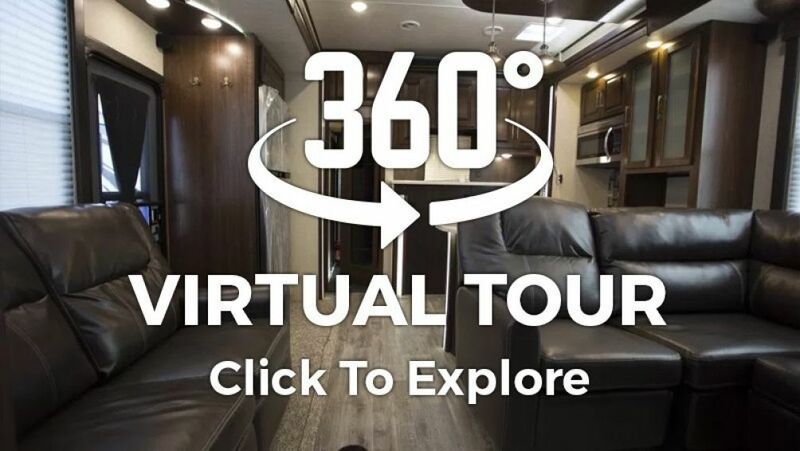 Travel with ease with the Coachmen Chaparral 336TSIK! This 36' 11" long 5th Wheel has a hitch weight of 1880 lbs. and a GVWR of 12200 lbs. Stay cool under the shade of the 16' 0" awning. Nobody has to go hungry when you travel with the Chaparral 336TSIK! It has a kitchen with stylish cabinetry and modern appliances! Store your fresh produce, meats, dairy, and drinks in the 8.00 cu. ft. refrigerator. Whip up delicious, hot meals anytime you please with the 3 burner range cooktop! The 48 gallon freshwater tank stores an abundance of clean water for drinking, cleaning, and cooking! Let's face it, you love camping - except for the bothersome trek to the often cold, damp, messy campground community bath facility. Ugh! Good news! 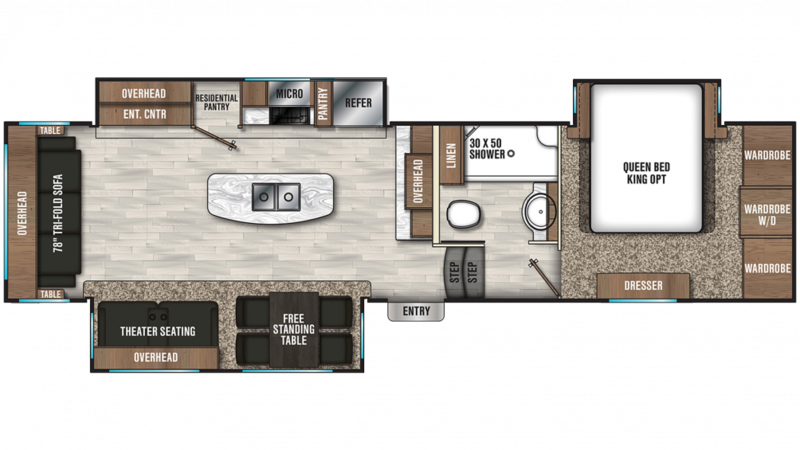 When you're on the road in the 2019 Coachmen Chaparral 336TSIK, you can skip that ordeal for good, because this RV has a full bathroom with a modern shower, a sink vanity, and a handy Foot Flush toilet! The big 48 gallon freshwater tank and 60 lbs. of LP tank capacity mean plenty of hot water for everyone! This RV also has a 90 gallon gray water tank and a 45 gallon black water tank.